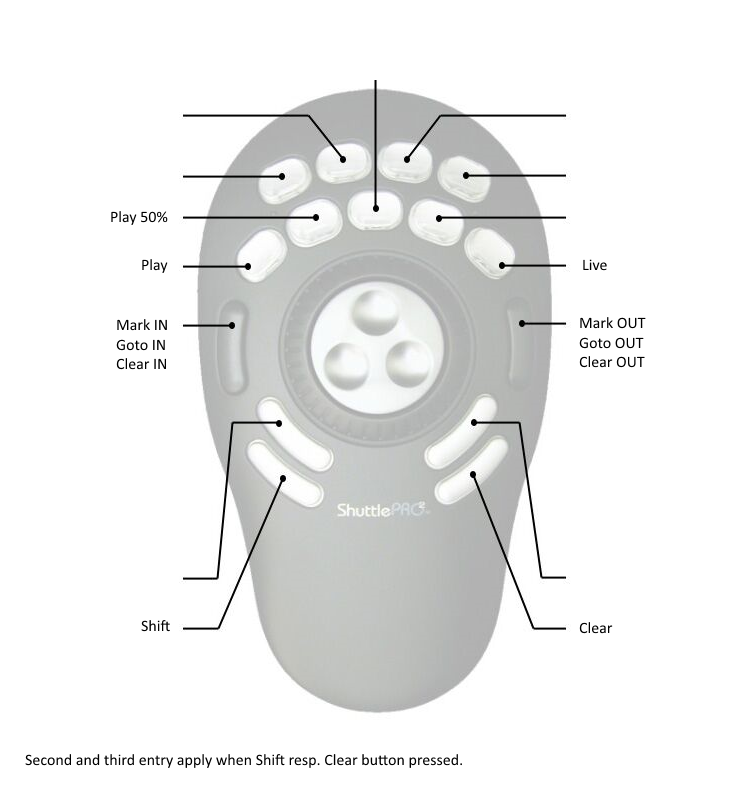 VidBlasterX has built-in native support for the Contour Design ShuttlePRO v2 controller. Simply connect it before you run VidBlasterX suffices, no further installations are required. Plays from current position at 100% speed. Returns to live mode, clearing in & out points. Used to access secondary commands like go to in & out points. Hold the button down to access secondary commands. Used to clear settings like in & out points. Hold the button down to access secondary commands.